Next Generation Learning Challenges, funded partly by the Gates Foundation, will provide $150,000 in initial funding and up to $300,000 in matching funds for "mBolden Piedmont." The funding will be implemented over the next four years. That means the school could receive as much as $750,000 for the program. Verizon Innovative Learning Schools grant supports mPower Piedmont program. The U.S. Dept. of Education has named Piedmont High School a “Blue Ribbon School” for 2012, and Superintendent Matt Akin declared it an accomplishment for the entire community. “You don’t earn Blue Ribbon status at the high school without having that foundation at the elementary and middle school. So although it’s a high school award, to me it’s a community award. It just further validates everything that this community puts into their school district,” Akin said. 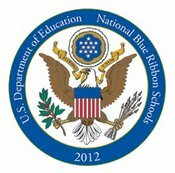 Piedmont is the first public school in Calhoun County to receive Blue Ribbon status, according to the Anniston Star, and is among only 17 Alabama high schools ever receiving this distinction. According to the article, Piedmont was selected because it has consistently “scored well” on the Adequate Yearly Progress assessments (AYP), meaning the high school has stayed on track meeting its goals set in the No Child Left Behind mandates. The Piedmont City system has also been a part of the National League of Innovative Schools, and has been recognized as one of the “Top 20 to Watch,” systems, by the National School Boards Association.